Paul and I parked up at the first parking spot towards the entry to Pembrey Country Park. The council have now done their utmost to deter motorists from free parking anywhere near the entrance with large tree trunks blocking off grassed areas and yellow lines everywhere. Being poor pensioners we used the above parking area which would deter most people from walking to the main park. As we reached the coastal path we soon realised there was a very strong headwind to contend with but as they say it’s all good experience! 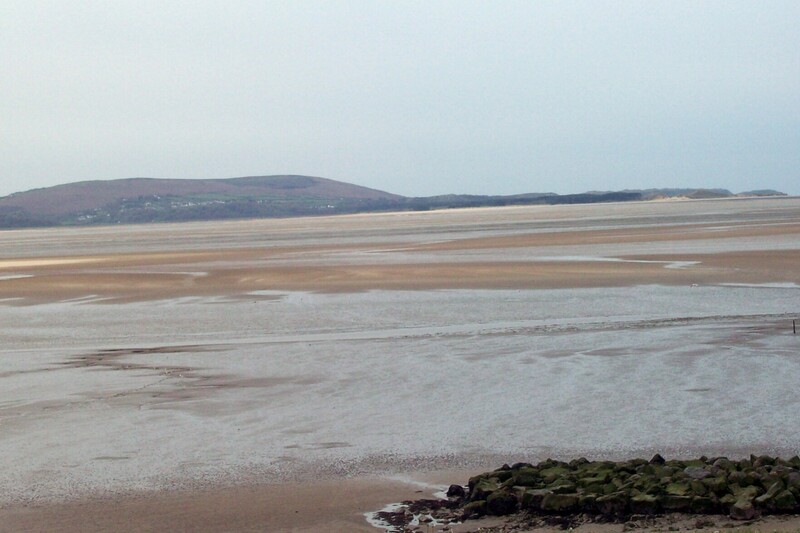 The tide was way out with views across to Worm’s Head on the Gower. 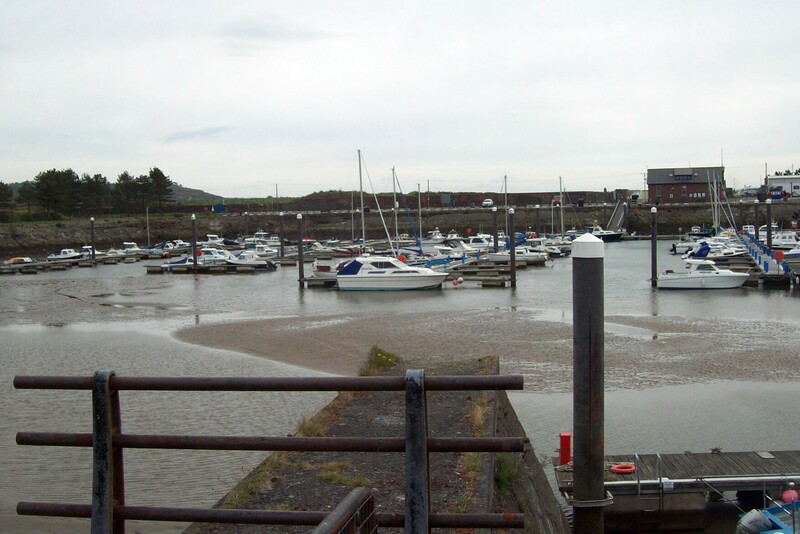 We cycled past Burry Port harbour and on to Pwll where our return trip would find us stopping at the Pavilion Cafe. Our route took us on to the Discovery Centre at North Dock. 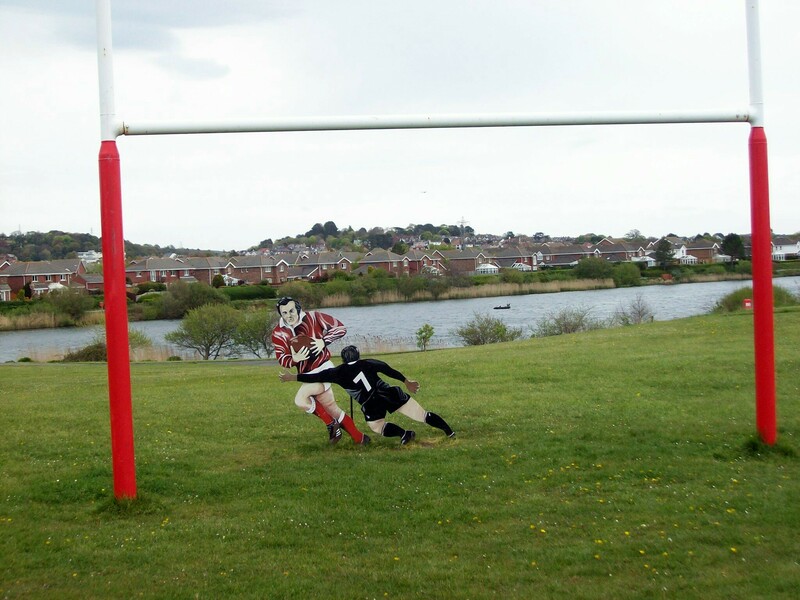 On the route you will see a set of rugby posts with a sculpture of what appears to be Phil Bennett side stepping one of the mighty All Blacks – you had to be there. Further on there was a lot of activity involving huge lorries and JCBs moving huge boulders to strengthen the groins. We were really hoping our return trip would not see a shift in the wind direction. 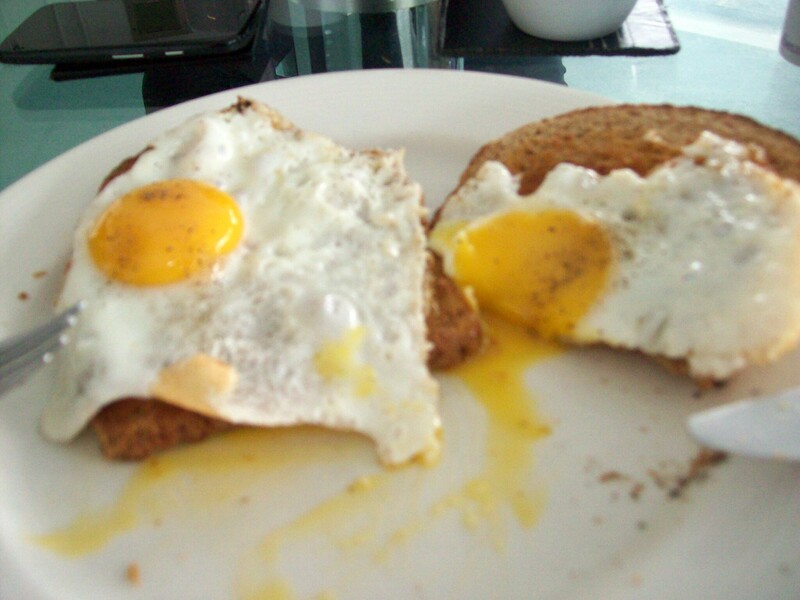 Prayers answered we doubled our outward speed and were soon sitting in the Pavilion Cafe where we devoured double fried egg on toast, thus undoing all the earlier burned up calories.